At this time of year, the Kilpisjärvi region is pretty green. Most of the snow has melted and the trees are not quite yet changing to brown for the autumnal drop. Today's photograph was taken looking south along the western bank of the mound on which the antennas are located. 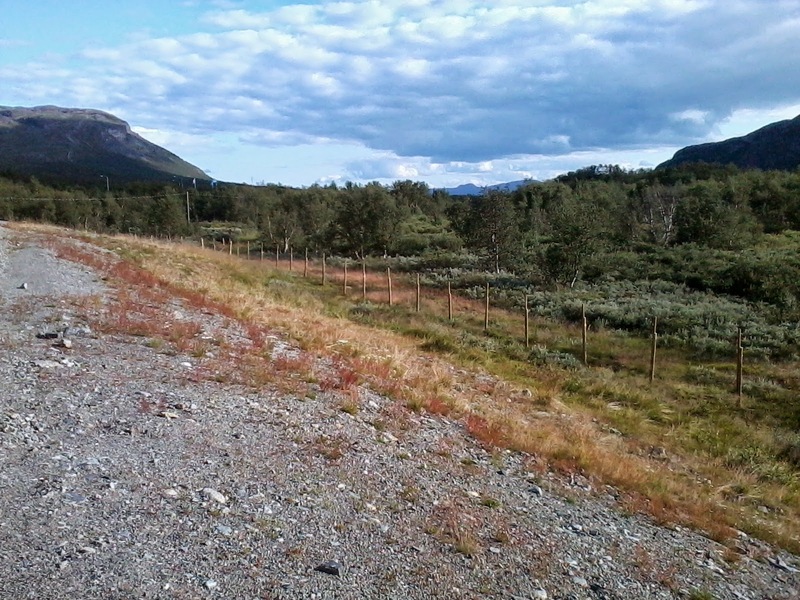 The mountain on the left edge is Saana and on the right is Pikku Malla.